This article is about the region of Syria, also called "Greater Syria" or "Syria-Palestine". For other meanings, see Syria (disambiguation). "Shaam" redirects here. For other uses, see Shaam (disambiguation). The region of Syria (Arabic: ٱلـشَّـام‎, translit. Ash-Shām, Hieroglyphic Luwian: Sura/i; Greek: Συρία; in modern literature called "Greater Syria", "Syria-Palestine", or the Levant) is an area located east of the Mediterranean sea. 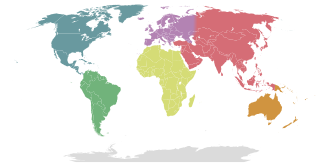 Throughout history, the region has been controlled by numerous different peoples, including ancient Egyptians, Canaanites, Israelites, Assyria, Babylonia, the Achaemenid Empire, the ancient Macedonians, the Roman Empire, the Byzantine Empire, the Umayyad Caliphate, the Abbasid Caliphate, the Fatimid Caliphate, the Crusaders, the Ayyubid dynasty, the Mamluk Sultanate, the Ottoman Empire, the United Kingdom and the French Third Republic. In the most common historical sense, 'Syria' refers to the entire northern Levant, including Alexandretta and the ancient city of Antioch or in an extended sense the entire Levant as far south as Roman Egypt, but not including Mesopotamia. The area of Greater Syria (Arabic: سُوِْرِيَّة ٱلْكُبْرَى‎, translit. Sūriyyah al-Kubrā; also "Natural Syria" (Arabic: سُوْرِيَّة ٱلطَّبِيْعِيَّة‎, translit. Sūriyyah aṭ-Ṭabīʿiyyah) or "Northern Country" (Arabic: بِلَاد ٱلشَّام‎, translit. Bilād ash-Shām)) extends roughly over the medieval Arab Caliphate province of Bilad al-Sham, encompassing the Eastern Mediterranean or the Levant, and Western Mesopotamia. The Arab conquest of the Levant in the 7th century gave rise to this province, which encompassed much of the region of Syria, and became largely overlapping with this concept. Other sources indicate that the term Greater Syria was coined during Ottoman rule, after 1516, to designate the approximate area included in present-day Lebanon, Syria, Jordan, Israel, and Palestine. The uncertainty in the definition of the extent of "Syria" is aggravated with the etymological confusion of the similar-sounding names Syria and Assyria. The question of the ultimate etymological identity of the two names remains open today, but regardless of etymology, the two names have often been taken as exchangeable or synonymous from the time of Herodotus. In the Roman Empire, 'Syria' and 'Assyria' already referred to two separate entities, Roman Syria and Roman Assyria. Killebrew and Steiner, treating the Levant as the Syrian region, gave the boundaries of the region as such: the Mediterranean Sea to the west, the Arabian Desert and Mesopotamia to the east, and the Taurus Mountains of Anatolia to the north. For Pliny the Elder and Pomponius Mela, Syria covered the entire Fertile Crescent. In Late Antiquity, "Syria" meant a region located to the East of the Mediterranean Sea, West of the Euphrates River, North of the Arabian Desert and South of the Taurus Mountains, thereby including modern Syria, Lebanon, Jordan, Israel, the State of Palestine, and parts of Southern Turkey, namely the Hatay Province and the Western half of the Southeastern Anatolia Region. This late definition is equivalent to the region known in Classical Arabic by the name ash-Shām (Arabic: اَلـشَّـام‎ /ʔaʃ-ʃaːm/, which means the north [country] (from the root šʔm Arabic: شَـأم‎ "left, north")). After the Islamic conquest of Byzantine Syria in the 7th century, the name Syria fell out of primary use in the region itself, being superseded by the Arabic equivalent Shām, but survived in its original sense in Byzantine and Western European usage, and in Syriac Christian literature. In the 19th century the name Syria was revived in its modern Arabic form to denote the whole of Bilad al-Sham, either as Suriyah or the modern form Suriyya, which eventually replaced the Arabic name of Bilad al-Sham. After World War I, the name 'Syria' was applied to the French Mandate for Syria and the Lebanon, and the contemporaneous but short-lived Arab Kingdom of Syria. The oldest attestation of the name 'Syria' is from the 8th century BC in a bilingual inscription in Hieroglyphic Luwian and Phoenician. In this inscription the Luwian word Sura/i was translated to Phoenician ʔšr "Assyria." For Herodotus in the 5th century BC, Syria extended as far north as the Halys (the modern Kızılırmak River) and as far south as Arabia and Egypt. The name 'Syria' derives from the ancient Greek name for Syrians, Greek: Σύριοι Syrioi, which the Greeks applied without distinction to various Near Eastern peoples living under the rule of Assyria. Modern scholarship confirms the Greek word traces back to the cognate Greek: Ἀσσυρία, Assyria, ultimately derived from the Akkadian Aššur. The classical Arabic pronunciation of Syria is Sūriya (as opposed to the Modern Standard Arabic pronunciation Sūrya). That name was not widely used among Muslims before about 1870, but it had been used by Christians earlier. According to the Syriac Orthodox Church, "Syrian" meant "Christian" in early Christianity. In English, "Syrian" historically meant a Syrian Christian such as Ephrem the Syrian. Following the declaration of Syria in 1936, the term "Syrian" became to designate citizens of that state, regardless of ethnicity. The adjective "Syriac" (suryāni Arabic: سُرْيَانِي‎) has come into common use since as an ethnonym to avoid the ambiguity of "Syrian". Currently, the Arabic term Sūriya refers to the modern state of Syria, as opposed to the historical region of Syria, but that distinction was not as clear until the mid-20th century. Baalshamin (Aramaic: ܒܥܠ ܫܡܝܢ‎, translit. Ba'al Šamem, lit. 'Lord of Heaven(s)'), was a Semitic sky-god in Canaan/Phoenicia and ancient Palmyra. Hence, Sham refers to (heaven or sky). Moreover; in Hebrew, sham (שָׁמַ) is derived from Akkadian šamû meaning "sky". For instance, the Hebrew word for the sun is shemesh, where "shem/sham" from shamayim [note 1] (Akkadian: šamû) means "sky" and esh (Akkadian: išātu) means "fire", i.e. "sky-fire". Other sources indicate that the term etymologically means "land of the left hand", referring to the fact that for someone in the Hejaz facing east, north is to the left (so the name of Yemen (اَلْـيَـمَـن, al-Yaman) correspondingly means "the right (side)"). Sham comes from the Semitic root shin–hamza–mim ش ء م (referring to unluckiness, which is traditionally associated with the left), as seen in alternative Arabic spellings such as شأم and شآم. The Sham region is sometimes defined as the area that was dominated by Damascus, long an important regional centre. —In fact, the word Ash-Shām, on its own, can refer to the city of Damascus. There is no connection with the name of Shem son of Noah (whose name appears in Arabic as Latn سَـام with a different initial consonant and without any internal glottal stop consonant). Herodotus uses Ancient Greek: Συρία to refer to the stretch of land from the Halys river, including Cappadocia (The Histories, I.6) in today's Turkey to the Mount Casius (The Histories, II.158), which Herodotus says is located just south of Lake Serbonis (The Histories, III.5). According to Herodotus various remarks in different locations, he describes Syria to include the entire stretch of Phoenician coastal line as well as cities such Cadytis (Jerusalem) (The Histories III.159). In Greek usage, Syria and Assyria were used almost interchangeably, but in the Roman Empire, Syria and Assyria came to be used as distinct geographical terms. "Syria" in the Roman Empire period referred to "those parts of the Empire situated between Asia Minor and Egypt", i.e. the western Levant, while "Assyria" was part of the Persian Empire, and only very briefly came under Roman control (116–118 AD, marking the historical peak of Roman expansion). In the Roman era, the term Syria is used to comprise the entire northern Levant and has an uncertain border to the northeast that Pliny the Elder describes as including, from west to east, the Kingdom of Commagene, Sophene, and Adiabene, "formerly known as Assyria". Various writers used the term to describe the entire Levant region during this period; the New Testament used the name in this sense on numerous occasions. In 64 BC, Syria became a province of the Roman Empire, following the conquest by Pompey. Roman Syria bordered Judea to the south, Anatolian Greek domains to the north, Phoenicia to the West, and was in constant struggle with Parthians to the East. In 135 AD, Syria-Palaestina became to incorporate the entire Levant and Western Mesopotamia. In 193, the province was divided into Syria proper (Coele-Syria) and Phoenice. Sometime between 330 and 350 (likely c. 341), the province of Euphratensis was created out of the territory of Syria Coele and the former realm of Commagene, with Hierapolis as its capital. After c. 415 Syria Coele was further subdivided into Syria I, with the capital remaining at Antioch, and Syria II or Salutaris, with capital at Apamea on the Orontes River. In 528, Justinian I carved out the small coastal province Theodorias out of territory from both provinces. The region was annexed to the Rashidun Caliphate after the Muslim victory over the Byzantine Empire at the Battle of Yarmouk, and became known afterwards by its Arabic name, ash-Shām. During the Umayyad Caliphate, the Shām was divided into five junds or military districts. They were Jund Dimashq (for the area of Damascus), Jund Ḥimṣ (for the area of Homs), Jund Filasṭīn (for the area of Palestine) and Jund al-Urdunn (for the area of Jordan). Later Jund Qinnasrîn was created out of part of Jund Hims. 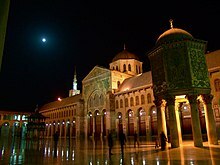 The city of Damascus was the capital of the Islamic Caliphate, until the rise of the Abbasid Caliphate. In the later ages of the Ottoman times, it was divided into wilayahs or sub-provinces the borders of which and the choice of cities as seats of government within them varied over time. The vilayets or sub-provinces of Aleppo, Damascus, and Beirut, in addition to the two special districts of Mount Lebanon and Jerusalem. Aleppo consisted of northern modern-day Syria plus parts of southern Turkey, Damascus covered southern Syria and modern-day Jordan, Beirut covered Lebanon and the Syrian coast from the port-city of Latakia southward to the Galilee, while Jerusalem consisted of the land south of the Galilee and west of the Jordan River and the Wadi Arabah. Although the region's population was dominated by Sunni Muslims, it also contained sizable populations of Shi'ite, Alawite and Ismaili Muslims, Syriac Orthodox, Maronite, Greek Orthodox, Roman Catholics and Melkite Christians, Mizrahi Jews and Druzes. 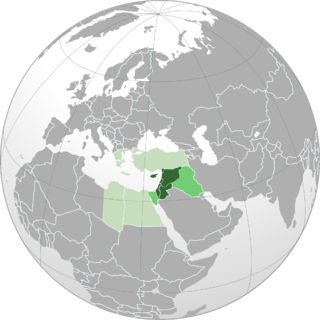 Ottoman Syria until World War I. Present borders in grey. The Occupied Enemy Territory Administration (OETA) was a military British and French administration over areas of the former Ottoman Empire between 1917–20, during and following World War I. It officially ended following the assignment of the French Mandate of Syria and Lebanon and British Mandate for Palestine at the 19–26 April 1920 San Remo conference. The Arab Kingdom of Syria was the first modern Arab state to come into existence, but only lasted a little over four months (8 March–24 July 1920). During its brief existence, the kingdom was led by Sharif Hussein bin Ali’s son Faisal bin Hussein. Despite its claims to territory of a Greater Syria, Faisal's government controlled a limited area and was dependent on Britain which, along with France, generally opposed the idea of a Greater Syria and refused to recognise Faisal as its king. The kingdom surrendered to French forces on 24 July 1920. Following the San Remo conference and the defeat of King Faisal's short-lived monarchy in Syria at the Battle of Maysalun, the French general Henri Gouraud, in breach of the conditions of the mandate, subdivided the French Mandate of Syria into six states. They were the states of Damascus (1920), Aleppo (1920), Alawite State (1920), Jabal Druze (1921), the autonomous Sanjak of Alexandretta (1921) (modern-day Hatay in Turkey), and Greater Lebanon (1920) which later became the modern country of Lebanon. Antoun Saadeh's SSNP map of a "Natural Syria", based on the etymological connection between the name "Syria" and "Assyria". The boundaries of the region have changed throughout history, and were last defined in modern times by the proclamation of the short-lived Arab Kingdom of Syria and subsequent definition by French and British mandatory agreement. The area was passed to French and British Mandates following World War I and divided into Greater Lebanon, various Syrian-mandate states, Mandatory Palestine and the Emirate of Transjordan. The Syrian-mandate states were gradually unified as the State of Syria and finally became the independent Syria in 1946. Throughout this period, Antoun Saadeh and his party, the Syrian Socialist Nationalist Party, envisioned "Greater Syria" or "Natural Syria", based on the etymological connection between the name "Syria" and "Assyria", as encompassing the Sinai Peninsula, Cyprus, modern Syria, Lebanon, Palestine, Jordan, Iraq, Kuwait, the Ahvaz region of Iran, and the Kilikian region of Turkey. Acre Acre is home to the Shrine of Bahá'u'lláh, which is the holiest site for the Bahá'í Faith. Aleppo Aleppo is home to a Great Mosque, which is believed to house the remains of Zechariah, who is revered in both Christianity and Islam. Damascus Damascus has a Great Mosque, which is considered to be one of the largest and best preserved mosques from the Umayyad era. It is believed to house the remains of Zechariah's son John the Baptist, who is revered in Christianity and Islam, like his father. Other important sites include Bab al-Saghir and Sayyidah Ruqayyah Mosque. Haifa Haifa is where the Shrine of the Báb is located. It is holy to the Bahá'í Faith. Nearby is Mount Carmel. Being associated with the Biblical figure Elijah, it is important to Christians, Druze, Jews and Muslims. Hittin Hittin is near what is believed to near the shrine of Shuaib (possibly Jethro). It is holy to Druze and Muslims. Jerusalem Having sites such as the Church of the Holy Sepulchre, Western Wall, and Al-Aqsa Mosque, the Old City of Jerusalem is holy to Christianity, Islam and Judaism. ^ In Hebrew, mayim (מַיִם) means "water". In Genesis 1:6 Elohim separated the "water from the water". The area above the earth was filled by sky-water (sham-mayim) and the earth below was covered by sea-water (yam-mayim). ^ a b c d e f Mustafa Abu Sway. "The Holy Land, Jerusalem and Al-Aqsa Mosque in the Qur'an, Sunnah and other Islamic Literary Source" (PDF). Central Conference of American Rabbis. Archived from the original (PDF) on 2011-07-28. ^ a b Pfoh, Emanuel (2016-02-22). Syria-Palestine in The Late Bronze Age: An Anthropology of Politics and Power. Routledge. ISBN 1-3173-9230-2. ^ a b Killebrew, A. E.; Steiner, M. L. (2014). The Oxford Handbook of the Archaeology of the Levant: C. 8000-332 BCE. OUP Oxford. p. 2. ISBN 978-0-19-921297-2. The western coastline and the eastern deserts set the boundaries for the Levant ... The Euphrates and the area around Jebel el-Bishrī mark the eastern boundary of the northern Levant, as does the Syrian Desert beyond the Anti-Lebanon range's eastern hinterland and Mount Hermon. This boundary continues south in the form of the highlands and eastern desert regions of Transjordan. ^ Thomas Collelo, ed. Lebanon: A Country Study Washington, Library of Congress, 1987. ^ a b Herodotus. "Herodotus VII.63". Fordham University. VII.63: The Assyrians went to war with helmets upon their heads made of brass, and plaited in a strange fashion which is not easy to describe. They carried shields, lances, and daggers very like the Egyptian; but in addition they had wooden clubs knotted with iron, and linen corselets. This people, whom the Hellenes call Syrians, are called Assyrians by the barbarians. The Chaldeans served in their ranks, and they had for commander Otaspes, the son of Artachaeus. ^ Taylor & Francis Group (2003). The Middle East and North Africa 2004. Psychology Press. p. 1015. ISBN 978-1-85743-184-1. ^ a b c Bosworth, Clifford Edomond (1997). "AL-SHĀM"". Encyclopaedia of Islam. 9. p. 261. ^ Kamal S. Salibi (2003). A House of Many Mansions: The History of Lebanon Reconsidered. I.B.Tauris. pp. 61–62. ISBN 978-1-86064-912-7. To the Arabs, this same territory, which the Roman Empire considered Arabian, formed part of what they called Bilad al-Sham, which was their own name for Syria. From the classical perspective however, Syria, including Palestine, formed no more than the western fringes of what was reckoned to be Arabia between the first line of cities and the coast. Since there is no clear dividing line between what are called today the Syrian and Arabian deserts, which actually form one stretch of arid tableland, the classical concept of what actually constituted Syria had more to its credit geographically than the vaguer Arab concept of Syria as Bilad al-Sham. Under the Romans, there was actually a province of Syria, with its capital at Antioch, which carried the name of the territory. Otherwise, down the centuries, Syria, like Arabia and Mesopotamia, was no more than a geographic expression. In Islamic times, the Arab geographers used the name arabicized as Suriyah, to denote one special region of Bilad al-Sham, which was the middle section of the valley of the Orontes river, in the vicinity of the towns of Homs and Hama. They also noted that it was an old name for the whole of Bilad al-Sham which had gone out of use. As a geographic expression, however, the name Syria survived in its original classical sense in Byzantine and Western European usage, and also in the Syriac literature of some of the Eastern Christian churches, from which it occasionally found its way into Christian Arabic usage. It was only in the nineteenth century that the use of the name was revived in its modern Arabic form, frequently as Suriyya rather than the older Suriyah, to denote the whole of Bilad al-Sham: first of all in the Christian Arabic literature of the period, and under the influence of Western Europe. By the end of that century it had already replaced the name of Bilad al-Sham even in Muslim Arabic usage. ^ First proposed by Theodor Nöldeke in 1881; cf. Harper, Douglas (November 2001). "Syria". Online Etymology Dictionary. Retrieved 2013-01-22. .
^ Tardif, P. (2017-09-17). "'I won't give up': Syrian woman creates doll to help kids raised in conflict". CBC News. Retrieved 2018-03-06. ^ Pliny (AD 77). "Book 5 Section 66". Natural History. University of Chicago. ISBN 84-249-1901-7. ^ , quote "In the time of the Greek predominance it came into use. as it is employed to-day, as the name of the whole western borderland of the Mediterranean, and in the NT it is used several times in that sense (Mt. 4:24, Lk. 2:2, Ac. 15:23,41, 18:18, 21:3, Gal. 1:21)". ^ a b Le Strange, G. (1890). Palestine Under the Moslems: A Description of Syria and the Holy Land from A.D. 650 to 1500. London: Committee of the Palestine Exploration Fund. pp. 30–234. OCLC 1004386. ^ Blankinship, Khalid Yahya (1994). The End of the Jihâd State: The Reign of Hishām ibn ʻAbd al-Malik and the Collapse of the Umayyads. Albany, New York: State University of New York Press. pp. 47–50. ISBN 0-7914-1827-8. ^ Cobb, Paul M. (2001). White Banners: Contention in ‘Abbāsid Syria, 750–880. Albany, NY: State University of New York Press. pp. 12–182. ISBN 0-7914-4880-0. ^ Itamar Rabinovich, Symposium: The Greater-Syria Plan and the Palestine Problem in The Jerusalem Cathedra (1982), p. 262. ^ Ya'ari, Ehud. "Behind the Terror". The Atlantic. ^ a b World Heritage Committee (2007-07-02). "Convention concerning the protection of the world cultural and natural heritage" (PDF). p. 34. Retrieved 2008-07-08. ^ National Spiritual Assembly of the United States (January 1966). "Shrine of Bahá'u'lláh". Bahá'í News (418): 4. Retrieved 2006-08-12. ^ UNESCO World Heritage Centre (2008-07-08). "Bahá'i Holy Places in Haifa and the Western Galilee". Retrieved 2008-07-08. ^ "The Great Mosque of Aleppo | Muslim Heritage". www.muslimheritage.com. Retrieved 2016-06-30. ^ a b Abdullah Yusuf Ali, The Holy Qur'an: Text, Translation and Commentary, Note. 905: "The third group consists not of men of action, but Preachers of Truth, who led solitary lives. Their epithet is: "the Righteous." They form a connected group round Jesus. Zachariah was the father of John the Baptist, who is referenced as "Elias, which was for to come" (Matt 11:14); and John the Baptist is said to have been present and talked to Jesus at the Transfiguration on the Mount (Matt. 17:3)." ^ "Bab Al-Saghir". Love Damascus. Retrieved 31 October 2017. ^ Demeter, D. (2014-09-24). "Damascus – Bab al-Saghir Cemetery (دمـشـق – مـقـبـرة الـبـاب الـصـغـيـر)". Syria Photo Guide. Retrieved 2018-03-12. ^ Kramer, H. (2015-04-12). "Bab Al-Saghir Cemetery". The Complete Pilgrim. Retrieved 2018-03-12. ^ "Beauty of restored Shrine set to dazzle visitors and pilgrims". Bahá'í World News Service. 2011-04-12. Retrieved 2011-04-12. ^ Firro, K. M. (1999). The Druzes in the Jewish State: A Brief History. Leiden, The Netherlands: Brill Publishers. pp. 22–240. ISBN 90-04-11251-0. ^ Dana, N. (2003). The Druze in the Middle East: Their Faith, Leadership, Identity and Status. Sussex Academic Press. pp. 28–30. Michael Provence, "The Great Syrian Revolt and the Rise of Arab Nationalism", University of Texas Press, 2005. Southern Syria is the southern part of the Syria region, roughly corresponding to the Southern Levant. Typically it refers chronologically and geographically to the southern part of Ottoman Syria provinces. Bilad al-Sham was a Rashidun, Umayyad and later Abbasid Caliphate province in what is now the Levant. It incorporated former Byzantine territories of the Diocese of the East, organized soon after the Muslim conquest of the Levant in the mid-7th century, which was completed at the decisive Battle of Yarmouk. The term "Bilad al-Sham" means "land to the north", literally "land on the left-hand" relative to someone in the Hejaz facing east. Over recorded history, there have been many names of the Levant, a large area in the Middle East, or its constituent parts. These names have applied to a part or the whole of the Levant. On occasion, two or more of these names have been used at the same time by different cultures or sects. As a natural result, some of the names of the Levant are highly politically charged. 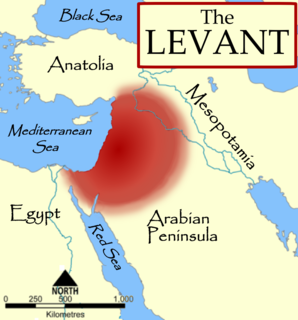 Perhaps the least politicized name is Levant itself, which simply means "where the sun rises" or "where the land rises out of the sea", a meaning attributed to the region's easterly location on the shore of the Mediterranean Sea. Jund Filasṭīn was one of the military districts of the Ummayad and Abbasid Caliphate province of Bilad al-Sham (Syria), organized soon after the Muslim conquest of the Levant in the 630s. Jund Filastin, which encompassed most of Palaestina Prima and Palaestina Tertia, included the newly established city of Ramla as its capital and eleven administrative districts (kura), each ruled from a central town. Greater Syria, also "Natural Syria" or "Northern Country" Arabic: بِلَاد الشَّام‎, translit. Bilād ash-Shām, is a Levantine region which extends roughly over the medieval Arab Caliphate province of Bilad al-Sham. The Hellenistic name of the region, "Syria", was used by the Ottomans in the Syria Vilayet until the collapse of the Ottoman Empire in 1918. The wave of Arab nationalism in the region evolved towards the creation of a new "Great Syria" over French-governed Occupied Enemy Territory Administration, declared as Hashemite Kingdom on March 1920, claiming extent over the entire Levant. Following the Franco-Syrian War, in July 1920, French armies defeated the newly proclaimed Arab Kingdom of Syria and captured Damascus, aborting the Arab state. The area was consequently partitioned under French and British Mandates into Greater Lebanon, various Syrian states, Mandatory Palestine and Transjordan. Syrian states were gradually unified as the State of Syria and became the independent Republic of Syria in 1946. Islam is a major religion in Israel. Muslims, who are mostly Arab citizens of Israel, constitute 17.7% of the Israelis, making them the largest minority group in Israel. Islam is a major religion in Palestine, being the religion of the majority of the Palestinian population. Muslims comprise 80-85% of the population of the West Bank, when including Israeli settlers, and 99% of the population of the Gaza Strip. Palestinian Muslims primarily practice Shafi'i Islam, which is a branch of Sunni Islam. The name Syria is latinized from the . Herodotus used it loosely to refer to Cappadocia. In Greek usage, Συρία Suría and Ασσυρία Assuría were used almost interchangeably, but in the Roman Empire, Syria and Assyria came to be used as distinct geographical terms. "Syria" in the Roman Empire period referred to the region of Syria, while Asōristān was part of the Sasanian Empire and only very briefly came under Roman control. Jund al-Urdunn was one of the five districts of Bilad ash-Sham during the period of the Arab Caliphates. It was established under the Rashidun and its capital was Tiberias throughout its rule by the Umayyad and Abbasid caliphates. 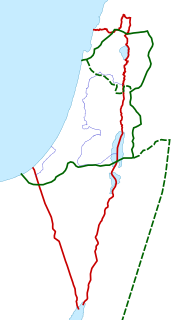 It encompassed southern Mount Lebanon, the Galilee, the southern Hauran, the Golan Heights, and most of the eastern Jordan Valley. The Greek presence in Syria began in the 7th century BC and became more prominent during the Hellenistic period and when the Seleucid Empire was centered there. Today, there is a Greek community of about 4,500 in Syria, most of whom have Syrian nationality and who live mainly in Aleppo, Baniyas, Tartous, and Damascus, the capital. Ash-Sharāt or Ash-Sharāh (Arabic: ٱلشَّرَاة‎, also known as Bilād ash-Sharāt or Jibāl ash-Sharāt, is a highland region in modern-day southern Jordan and northwestern Saudi Arabia. 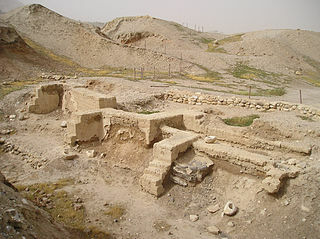 It was formerly a sub-district in Bilad al-Sham during the 7th–11th centuries CE.